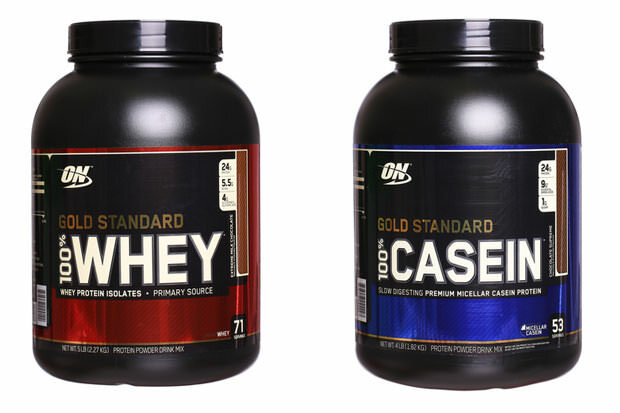 Home / SUPPLEMENTS / Which Is Better: Whey Or Casein? Which Is Better: Whey Or Casein? Choosing the right supplement mostly depends on your diet and workout plan, as well as your goals. Both whey and casein proteins help you get bigger and gain strength, bringing you closer to your goals. So, which one should you use? It’s imperative that you understand how both of them work. Whey protein makes a great post-workout meal because of its quick absorption into the bloodstream, and it contains branched-chain amino acids that the body doesn’t produce on its own. Casein is well-known for it’s anti-catabolic effects, slow digestion and for being high in amino acids. So, basically, whey is the quick one, used immediately before or after workout sessions, and casein is taken before going to sleep because it works slowly. Whey provides an ideal mix of available nutrients that are waiting in line to replenish your body fuel after a hard workout. After drinking casein however, you’ll be reaching your peak in blood amino acids in about four hours, which is a pretty relaxed tempo. It greatly slows the rate of protein breakdown and heavily supports muscle growth. Be careful if you’re lactose intolerant, though. So, the final answer – they are both good for you, it just depends on your preferences. You just have to figure out what works best for you.